You saw a presentation by a man with little credibility in sports integrity and two other men who have failed. You attended a presentation sponsored by the Qatari sports establishment. This is a group that is suspected by sports fans around the world of corruption in securing the rights to the World Cup tournament of 2022. This is a group that Amnesty International and the international labour movement accuse of rampant human rights abuses in the building of the stadiums for the 2022 World Cup. The first speaker – Chris Eaton – worked for the Qataris. Before he began this position he was head of security for FIFA. Part of his job was to investigate if there was any collusion between the Qataris and Spanish/Portuguese bid teams in trying to secure the World Cup hosting rights of 2022 and 2018. We know now (this week, Ricardo Teixeira, who was a member of FIFA’s committee to decide the World Cup rights, spoke openly about participating in this deal) that such a covert agreement existed. However, at the time the Qataris, effectively told Eaton and FIFA to stop investigating them. They did so. A few months later, Eaton sent the Qataris a congratulatory e-mail for winning the rights to the 2022 World Cup. A few weeks after that, they sent him an expensive watch and cuff-links. The next year, he joined the Qatari sporting establishment. All these details, and more, are in the excellent The Ugly Game by the Sunday Times journalists Jonathan Calvert and Heidi Blake. Let me be clear, I am not accusing Eaton of corruption. I am not saying that the Qataris bought him off from investigating them. I suspect that the FIFA politics were such he had no choice but to stop the investigation. What I am saying is that Eaton is so stupid that he did not understand he would lose his credibility in the sports integrity world by accepting gifts from people he was supposed to investigate. If he could make such a basic mistake in an investigation – how can we as journalists take him seriously? Oh dear – not a great success there as the FBI will tell you. The last speaker is the hapless Emanuel Macedo de Medeiros. He also works for the Qataris and is the ex-CEO of an organization the Association of European Football Leagues. He not only failed, he failed spectacularly. Finland – Norway – Denmark – Italy (multiple trials) – Greece (multiple trials) – Turkey (multiple trials) – Estonia – Latvia – Poland – Czech Republic – Slovakia – Slovenia – Bosnia-Herzegovina – Macedonia – Serbia – Croatia – Malta – Germany – Austria – Portugal – Belgium (multiple trials) – England – Cyprus and Hungary (24). There are on-going cases in the following countries that may lead to convictions – Spain, Sweden, and the Netherlands (27). 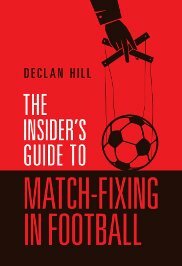 The following leagues are so deeply problematic that few people think that corruption does not exist there – Russia, Bulgaria (where a series of team owners have been murdered in mafia assassinations), Byelorussia, Rumania, Moldova, Ukraine and Kazakhstan (34). Now the Head of the association of all these leagues who have failed so dramatically is coming to lecture Americans on how to protect your sports. Really? There are better people to listen to. 1) Andrew Jennings. 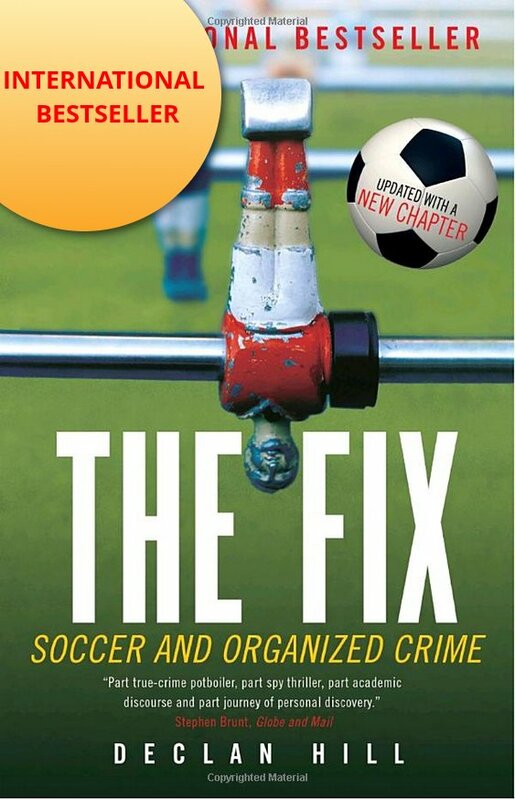 Some of the current FBI investigation into FIFA is based on his work. You cannot do better for a clear, direct, non-BS speaker on sports integrity. 2) Jens Seger Andersen: the international director of Play the Game – he knows sports governance intimately. He has provided whistle-blowers from around the world a place to speak. Clear, smart and good. 3) Any of the sports gambling monitoring organizations. Two suggestions – Federbet or Sports Radar – for good fun put their representatives in the same room, stand back and watch the fireworks. However, both companies have done excellent work. Either representative can begin an educated discussion about whether the US should legalize sports gambling. 1) The event was sponsored by the Qatari sports establishment – What about Mohammed bin Hammam? 2) No seriously, what about Mohammed bin Hammam? 3) No, really – have you ever investigated him? He is a Qatari – you would have the inside track to discover if all those stories about him are true. 4) Okay – you may not want to talk about him. How about the amazing FBI investigation: why did no other country investigate FIFA/CONCACAF except Americans? 5) Where is the washroom? 6) Errrr… that’s about all the questions that you could have asked this particular team.